2 Who is the father of Lord Shiva? There is no father of Lord Shiva; Shiva is unmanifested supreme consciousness who first manifested himself as a cosmic roar. Lord Shiva is the primary Godhead in the Hinduism, the one who is known by the name of Mahadev. Therefore, The question of who is the father of Lord Shiva is an interesting question to answer? Lots of people are curious to know about the birth of Lord Shiva. In this post, we have defined the origin of Lord Shiva existence. The answer is no one; Shiva is indeed never born. Therefore, there is no father of Lord Shiva. Shiva is Mrityunjay who is beyond death and birth. He self-manifested, Indeed, Lord Shiva has the two-dimensional realities in which one has physical existence and other not. In the primitive form Lord Shiva is formless and absolute voidness in the highest aspect known as Sadashiva. In the physical reality Shiva is supremely powerful, and incredible Lord defined in the Vedas by the name of Rudra know as the cosmic roar of the unmanifested consciousness. Shiva's highest representation is cosmic fire pillar. On request of Lord Vishnu and Lord Brahma Shiva manifested himself in the Rudra form so that Lord Vishnu and Brahma could have an Iconographical representation of Shiva. Therefore, Rudra emerged from Sadashiva and took the Shankara form. There is no significant difference between Shiva, Rudra, and Shankar. The only difference is Shiva is the eternal state of Shiva whereas Rudra is furious and Shankar is calm and meditating. According to Shiva Purana universe has 10 Rudra forms of Shiva. These Rudra's are responsible for cosmic phenomena destruction. One can understand Rudra as the destructor of the galaxies or destroyer of the planets. The idea of various Rudra resembles the different black holes available in the cosmos known for absorbing the galaxies. To start and create the universe Shiva performs the divine dance which is known as Tandava. Brahma created physics rules and policies to run the universe. Various forms of the Rudras help in maintaining the balance of the cosmos. Whereas, Shiva administrates the cosmic phenomena in the form of Bholenath while performing meditation. Lord Vishnu is the soul, Brahma is the mind, Shiva is soul maker, AdiShakti is Shiva's energy. Consequently, Rudra is the personification of formless Shiva. Hence, Shiva is unborn, immortal, omniscient, invincible, the supreme form of divinity in Sanatan Dharma. Once, there was a sage who was curious to know about Lord Shiva's origin; he went to Kailash to investigate who is the father of Lord Shiva. The Sage asked a simple question who is Shiva's father? Shiva replied with Brahma's name. Therefore sage went to Brahma to question who is Brahma father; Lord Brahma replied the name of Lord Vishnu. Sage reached to Lord Vishnu and asked who is Lord Vishnu father; Lord Vishnu replied Shiva's name. Sage realized his mistake and went to Shiva and told that he has got the truth that Shiva is an eternal being. There is no start and end of Shiva. Therefore no one can be the father of Lord Shiva. Shiva is Param Sunya means nothingness. Everything emerges from him and returns into him. In the scientific aspect, the universe has emerged from voidness and goes back in the nothingness at the end of the cosmic cycle. Our universe is composed of two component energy and matter. 2 - 4 % of matter & energy is understandable to humans by their sensory apparatus. 20 - 22% is Dark matter beyond humans reach. 74% - 78% is Dark energy. Dark matter and Dark energy are beyond human consciousness. World physicist is trying to learn about Dark matter and Dark energy. Shiva's Dancing Natraj form defines the concept of dancing energy of the atom. Hence, Dark matter and Dark energy are responsible for the creation of the entire universe which caused the Big bang. At the investigation of Vedas, scholars discover that Darkest energy is Goddess Shakti; She is the consort of Lord Shiva. In the physical reality, she manifested herself as Goddess Parvati to get married to Shiva. Both Shiva and Shakti together are AdhiShakti also known as Sadashiva as mentioned above, the eternal Dark matter, and energies. Shiva has limitless energy which is equivalent to Goddess Shakti. Therefore Shiva and Shakti live in the highest realm. Time to time Shiva and Shakti get separated with each other to display various Leela's but get united at the end of it. Here it is imperative to understand that Shiva is beyond time, space and death. He never takes birth whereas goddess Shakti takes various formations to display her Leela collectively with Shiva which makes them ideal Couple. That is the fundamental existence of Shiva which is formless in the highest perspective. Shiva & Shakti actualize themselves on their levels to maintain the balance. In such scenarios, Shiva remains immortal and never takes birth whereas Shakti does. The nothingness is Lord Shiva who operates mystically in his physical reality has never taken birth. Therefore, there is no father of Lord Shiva. 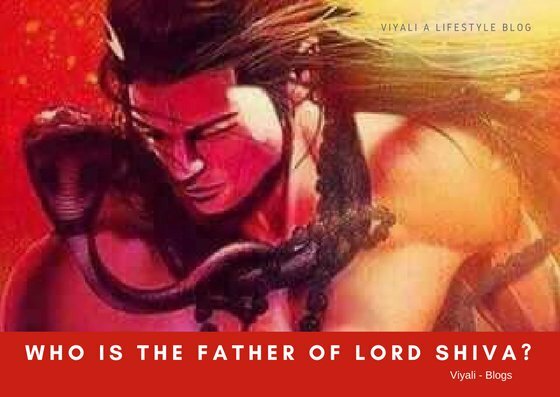 In this post, we have shared the answer to the question who is the father of Lord Shiva. 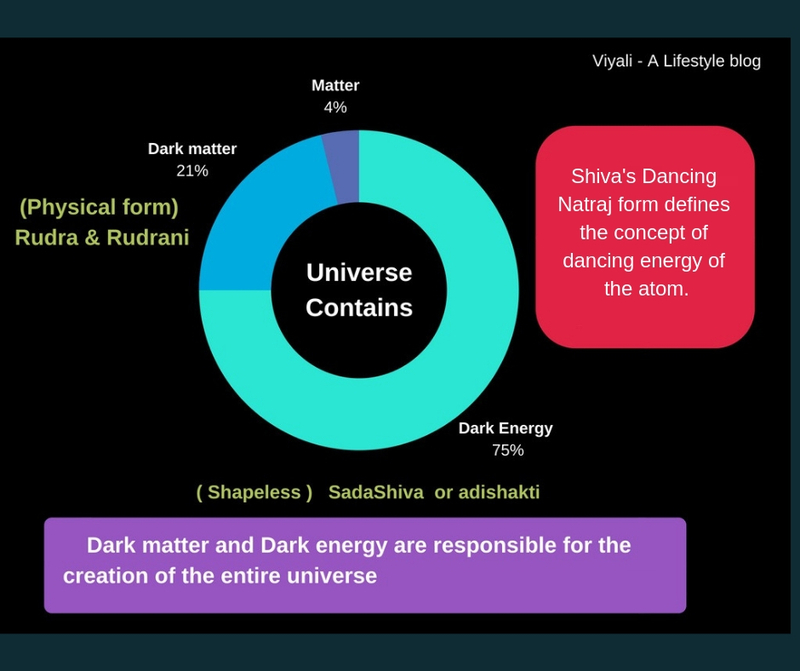 The post explains Shiva in the context of dark matter and dark energy who never takes birth. If you enjoyed reading the post, we request you to please feel free to share the post so that others could know who is indeed the father of Lord Shiva? You can subscribe to Viyali Blog through your email account to get notified for the recent Lord Shiva post.